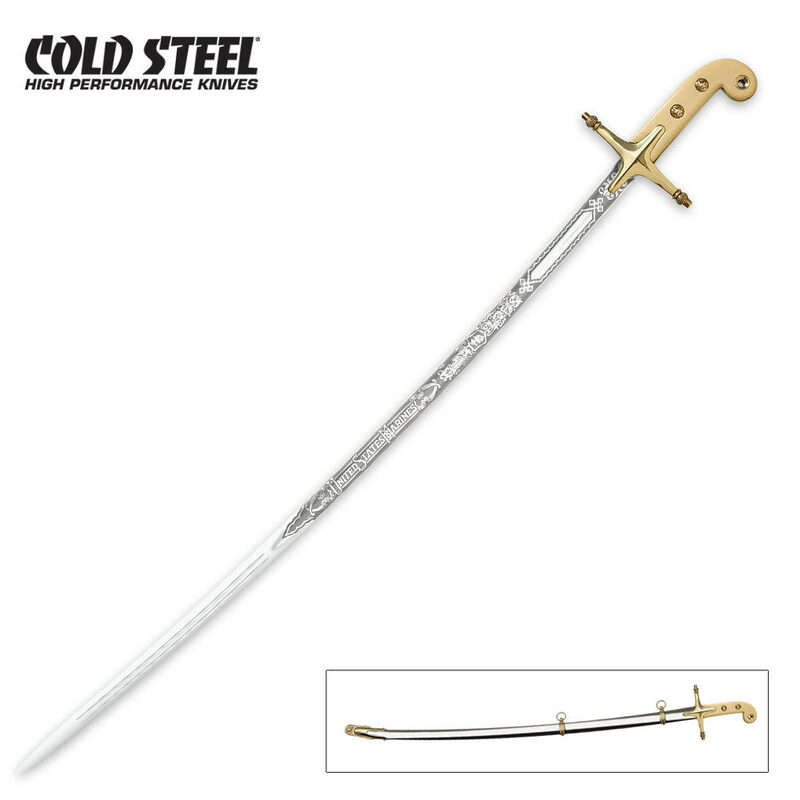 Cold Steel's battle ready reproduction of the USMC Officer's Saber. They're faithful in every detail to government specifications; they offer highly polished blades, appropriate etching and quality hilts and scabbards. In the case of the Marine Corps Officer's Saber, we have changed the hilt to solid mirror polished brass (not easily worn gold plate) and improved the attachment of the tang to the hilt so it could better withstand the rigors of combat. Overall Length: 37 3/4 in. Scabbard: Steel Scabbard w/ Brass Fittings.